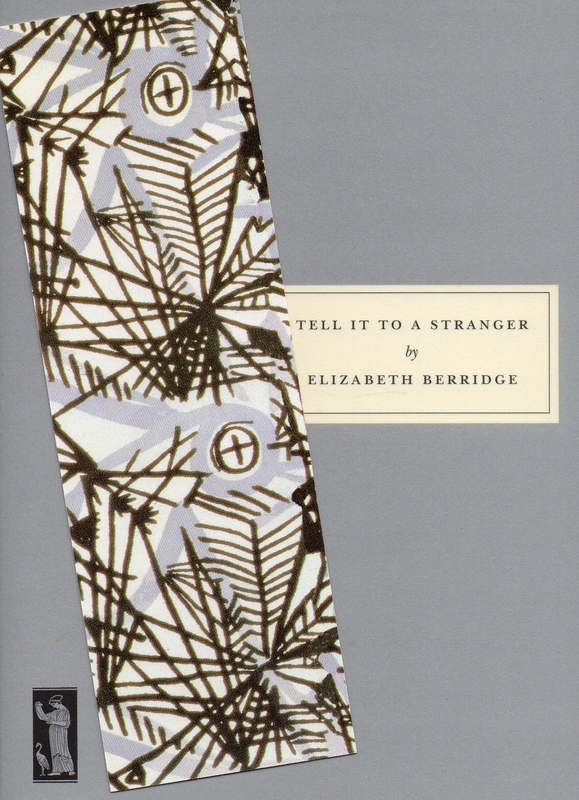 The short stories by ElizabethBerridge explore the many facets of suffering that come from years of war. Families are fractured, not just through death but through difference of opinion and attitude. And homes are destroyed by bombs while time and deprivation cause others to fall slowly into ruin. There are few opportunities for unadulterated pleasures, and those that come often bring a price. These are hard stories because they depict hard times. But they don’t just catalog the usual pains and privations.Berridge puts spins on her characters’ pain that show how suffering isn’t the same for everyone. The old lady shook her head. That’s the way it goes, from generation to generation, she was thinking. The young setting up new values which are old as the sun, kicking away from the parents as a child kicks from the womb. She listened to the angry, disjointed talk and remembered Pauline at eighteen. Yes, she had forced her into a bank. She had only wanted security for her. Only that. Old letters, interviews, strings being pulled; these things danced through her mind, doors kept shut when life was joyous and the eyes far-seeing. Now wit their dimming came the treacherous beckoning of memory. I was right then, she thought, but now I know that the young must find their own way. These are not stories of people heroically making a stand against fascism, keeping a stiff upper lip and accepting what comes. Berridge exposes the pain in people’s hearts as they rail inwardly—and thus silently—against what they’re facing. She digs underneath the facade her characters put on, revealing thoughts and feelings that seem petty in such times but are all too human. The main character of the title story is oddly happy when her London home is ransacked because it will give her something to tell the other boarders at her temporary country lodging. Miss Morton, the main character in “To Tea with the Colonel,” longs to talk with someone about her own experience getting bombed, but it makes people uncomfortable. Miss Morton is one of several characters in these stories who moved to the country during the war. In the country, the war seems distant and the massive country homes excessive, especially when they house only a remnant of the great families who built them. Berridge notes that problem while also showing that the people in those homes are not necessarily mere greedy exploiters of land and people. One of the strengths of these stories is that, especially when combined, they show multiple perspectives on the issues of their day without coming down strongly on one side or the other. Berridge’s stories aren’t always flattering to her characters, even people who seem like obvious heroes of the day. A mother who throws herself into war work is too self-congratulatory, pointing out to her soldier son that he gets to go on leave, but those on the home front don’t get a break. When her son, disgusted, leaves for London early, missing out on the day she’d set aside to spend with him, she doesn’t seem all that disappointed to get back to her war work and the pats on the back she’ll receive for it. Yet, despite her arrogance, there’s something real and significant to her pain. Sometimes, though, this lack of position makes the stories hard to grab onto. The opening story, “Snowstorm,” shows a female obstetrician at work in a temporary hospital where pregnant women delivered their babies away from the London bombs. One young mother seems unconcerned about the coming birth, and her attitude troubles the doctor. I couldn’t work out who, if anyone, we were to sympathize with here. After reading all the stories, though, I wonder if the answer is both … if it’s everyone. Because no matter the reason for the characters’ pain, it’s real and worthy of compassion, even when it brings with it an ugly side. In Berridge’s stories, people are a mix of good and bad. Sometimes the bad drowns out the good, sometimes a differing perspective hides it, but both sides are there, and people shouldn’t be discounted just because they’re flawed. This entry was posted in Classics, Fiction, Short Stories/Essays. Bookmark the permalink. I already have this Persephone edition tbr I can’t wait to read it now I have read your lovely review. I hope you enjoy it! It took me a while to warm up to the stories, but I’ve appreciated them more as I thought more about them. These sound excellent – the social upheavals of war really seem to suit the short story: lots of complexity and texture but such seemingly minor incidents. I’m definitely going to read this one. The focus on small, often internal dramas made these stories really interesting, as did her interest in different kinds of conflict.